By the mid nineteen-twenties, the Mathematical landscape of the United States had started to evolve towards its present form. Chicago, still very strong, had lost some of its initial preeminence. Harvard and Princeton were key players and O. Veblen, G.D. Birkhoff and G.A. Bliss formed a powerful triumvirate. E.R. Hedrick was leading the development of the University of California. Norbert Wiener had made a place for himself at MIT and, in 1930, John von Neumann arrived at the newly created Institute of Advanced Study at Princeton. 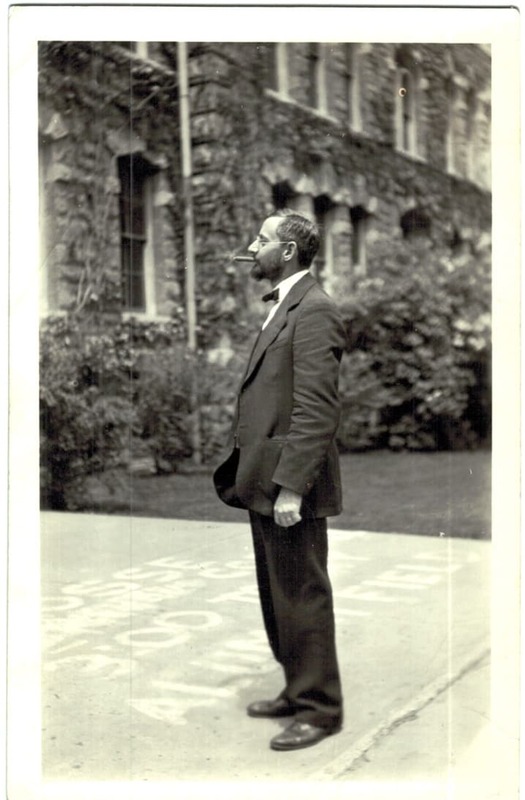 In 1927, Cornell Professor Virgil Snyder became the nineteenth President of the American Mathematical Society, replacing George David Birkhoff in that position. The department was chaired by W. Hurwitz. The professors were W. Carver, D. Gillespie, J. Hutchinson, A. Ranum , F. Sharpe and V. Snyder. Wallie Hurwitz was an excellent analyst, specialist of summability methods and divergence series who collaborated with Louis Lazarus Silverman and David Gillespie. In his autobiography, "The Enigmas of Chance" Mark Kac, who arrived at Cornell in 1939, writes Wallie Hurwitz, the other old-timer in the department, was the only Cornell mathematician whose name was familiar to me. A paper he had co-authored with his friend and colleague David. C. Gillespie had caught the attention of Banach and its cohorts. Hurwitz was Chair 1926-29 and 1935-38. He had many graduate students of which the best two are, undoubtedly, Ralph Angnew and Robert Cameron. Agnew received is Ph.D. in 1930 with a dissertation titled "The Behavior of Bounds and Oscillations of Sequences of Functions Under Regular Transformations". After two years at Cincinnati, Brown and Princeton as a National Research Fellow, he spent the rest of his career at Cornell, serving as Chair of the Department from 1940 to 1950. Robert H. Cameron's 1932 Ph.D. was on "Almost Periodic Transformations". He received a National Research Council Fellowship which he used to spend 2 years at the Institute of Advanced Study before joining MIT (1935-1945). He then moved to the University of Minnesota for the rest of his career. He received the Chauvenet Prize in 1944 and his name is attached to the Cameron-Martin space, a fundamental notion in the Theory of Wiener Space and Stochastic Analysis. The famous probabilist Monroe Donsker was his student. In 1928, Ralph Lent Jeffery wrote a dissertation on "The Uniform Approximation of a Sequence of Integrals and the Sequence of Functions Which Define a Definite Integral Containing a Parameter", supervised by D.C. Gillespie. At the time, he was on leave from being Head of Mathematics at Acadia University where he stayed until 1942. He then moved to Queen's University, Kingston, Ontario, where the building housing the Department of Mathematics and Statistics, Jeffery Hall, is named in his honor. He served as president of Royal Society of Canada and of the Canadian Mathematical Society. The Jeffery–Williams Prize is a mathematics award presented annually by the Canadian Mathematical Society in recognition of outstanding contributions to mathematical research. It is named after Ralph Jeffery and Lloyd G. Williams. Among Snyder's students of this period, two stand out. Charles Chapman Torrance graduated in 1931. He taught at Case Western and became Professor of Mathematics and Mechanics at the Naval Postgraduate School. He co-authored with J. Von Neumann and R. S. Martin a book titled "Functional analysis" and was an invited speaker at the 1936 International Congress of Mathematicians in Oslo. Gertrude K. Blanch (left) graduated in 1934. 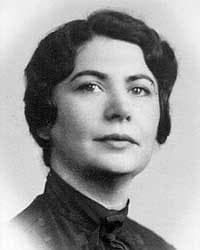 She taught at Hunter College before becoming a pioneer in numerical analysis and computation as the technical director of the Mathematical Tables Project in New York City. She was elected a Fellow in the American Association for the Advancement of Science in 1962 and received the Federal Woman's Award from President Lyndon Johnson in 1964. Beside Ralph Agnew, only two other new professors joined the department during this period. Both arrived in 1928. Charles Frederick Roos was educated at Rice University where he received his Ph.D. in 1926 under Griffith Evans. After two years as a National Research Fellow, he came to Cornell in 1928 as Assistant Professor. He left in 1931 to become permanent secretary of the Association for the Advancement of Sciences. Roos was Director of Research of the Cowles Commission from September, 1934, to January, 1937. He was one of the founders of the Econometric Society and served as its first president. Burton Wadsworth Jones received a BA in 1923 from Grinell College, an MA from Harvard University in 1924, and a Ph.D. in mathematics from the University of Chicago under L. E. Dickson in 1928. He joined Cornell that year and stayed until 1948 when he moved to the University of Boulder, Colorado, serving as Chair at Boulder from 1949 to 1963. During the years 1935-40, the department experienced a somewhat unexpected but very rapid renewal. By an happy turn of events, after being weakened by aging and multiple deaths and retirements, the department emerged in 1945 stronger than it had ever been. Arthur Ranum died in 1934. The next year, David Gillespie, Chair of the Department, and John Hutchinson both died unexpectedly. Francis Sharpe and Virgil Snyder retired in 1938. As Mark Kac puts it in his autobiography, "The Enigmas of Chance", the only two old-timer left were Walter Carver and Wallie Hurwitz (pictured left, smoking cigar in Front of White Hall). Carver's focus was on education and Hurwitz had not been active in research for some times. Assistants Professors Ralph Agnew and Burton Jones were the only two active faculty. In just a few years, the department hired a string of newcomers many of which were trained at Princeton. William Flexner (1934) and Robert Walker (1935) were promising algebraic geometers, students of Lefschetz. John Barkley Rosser, a student of A. Church with wide ranging interests, arrived in 1936. Frederick Ficken and James W. Givens also joined the department from Princeton. Givens, a student of O. Veblen, would later serve as President of the Society for Industrial and Applied Mathematics. Vivian Streeter Lawrence and John Fitz Randolph, both Cornell students of Gillespie, also joined the faculty as well as J.K.L MacDonald, Daniel C. Lewis, Fritz Herzog, John H. Curtiss and Saunders Mac Lane. Many stayed only briefly and very few would remained at Cornell past 1944. Two of these young faculty, Robert Walker and John Barkley Rosser would played an essential role in shaping the post war department. Mark Kac was born in 1914 in Krzemieniec, Poland, part of the Russian Empire. He studied at the Jan Kasimir University in Lwow where he received is doctorate in 1937 under Hugo Steinhaus. Having decided to leave Poland, he applied, unsuccessfully, for a scholarship to go to the Johns Hopkins University. The following year he applied again and, this time, he was awarded the fellowship. In "The Enigmas of Chance", Kac writes ... that saved my life because if I had gotten it a year earlier, I would have been compelled to go back. This way the war caught me in this country and literally saved my life. I was at Johns Hopkins when the war started, and then I got an offer to Cornell, where I spent twenty-two very happy years. Kac was promoted Assistant Professor in 1944 and Professor in 1947. During his career, he received two Chauvenet Prizes, the AMS-SIAM George David Brikhoff Prize, and was elected a fellow of the American Academy of Arts and Sciences and a member of the National Academy of Sciences. In the NAS obituary, Henry McKean writes I am sure I speak for all of Kac's friends when I remember him for his wit, his personal kindness, and his scientific style. One summer when I was quite young and at loose ends, I went to MIT to study mathematics, not really knowing what that was. I had the luck to have as my instructor one M. Kac and was enchanted not only by the content of the lectures but by the person of the lecturer. I had never seen mathematics like that nor anybody who could impart such (to me) difficult material with so much charm. During his twenty three years at Cornell, Kac supervised seventeen Ph.D.s including those of Daniel Ray (later, Professor at MIT), and of Murray Rosenblatt and Harry Kesten who both became members of the National Academy of Sciences. The war years and the aftermath were a trying time for the department and Ralph Agnew led the department through this period. He was promoted from Assistant Professor to Professor in 1938 before becoming Chair in 1940, a position he held for ten years. Kac writes During his ten years as chairman, Ag, as he is called by his friends, brought about at times, at considerable personal sacrifice, changes in outlook and attitude which prepared the way for the mathematics department to become one of the leading departments in the country. Ag was a very good mathematician and a superb administrator. By the latter I do not mean that he was universally popular. Quite to the contrary, he was at times severely criticized, but he stayed with his convictions, and in the end most of his controversial decisions were vindicated. Ag avoided emergencies by anticipating them and acting before they had a chance to arise. After our entry into the war he foresaw that sooner or later large numbers of soldiers and sailors would be sent to the universities for some kind of technical training, and that there was bound to be a tremendous demand for elementary mathematics courses... Sure enough, six hundred army recruits arrived in June 1943, to be followed by more than sixteen hundred navy V-12s, including three hundred marines. The army contingent came, if I remember correctly, on Friday, and the following Monday twenty or so as yet unscheduled sections had to be met. In 1944, the department consisted of R. Agnew (Chair), W. Carver, W. Hurwitz, B. W. Jones, J.B. Rosser (Professors), W. Flexner (Associate Professor), M. Kac and R. Walker (Assistant Professors). The list of Instructors appointed for that year includes the statistician Leonard Jimmie Savage. William Feller was born in Zagreb, Yugoslavia, on July 7, 1906. He was a student at the University of Zagreb (1923-1925) and obtained his doctorate at the University of Göttingen in 1925 with a thesis titled “Uber Algebraisch Rektifizierbare Transzendente Kurven" supervised by Richard Courant. Feller worked at Kiel, in Copenhagen and in Sweeden before emigrating to the United States and becoming Associate Professor at Brown in 1939. He joined Cornell in 1945 and stayed until he moved to Princeton in 1950. The first volume of "Introduction to Probability Theory and Its Applications", written in large part at Cornell, appeared in 1950. Gian-Carlo Rota remarked that the book was one of the great events in mathematics of this century. Together with Weber’s Algebra and Artin’s Geometric Algebra, this is the finest textbook in mathematics in this century. It is a delight to read and it will be immensely useful to scientists in all fields. Feller was a fellow of the American Academy of Arts and Sciences, a member of the National Academy of Sciences, and was awarded the National Medal of Science. Murray Rosenblatt writes in Feller's NAS obituary The academic year 1949-1950 at Cornell University was a truly remarkable one in probability theory. The permanent and visiting faculty members were W. Feller, M. Kac, J. l. Doob, G. Elfving, G. Hunt, and K. L. Chung, and it was a most stimulating time for students. What happened that year is the following: W. Feller and Cornell had been negotiating with the Office of Naval Research the establishment of a permanent Probability Center at Cornell with an annual budget of about 50,000 dollars. This amount should be compared to the entire budget of the department, 130,000 dollars. Elfving, a former student of Lindeberg and Nevenlinna and a highly regarded statistician, and Doob were at Cornell on visiting positions, with the hope that they would accept permanent positions. Kai Lai Chung, Gilbert Hunt and Monroe Donsker were also at Cornell as part of this project. The project was funded by ONR but, by the end of the year, Feller was gone to Princeton, Doob returned to Illinois and, soon, Elfving went back to Finland. Hunt and Kac stayed at Cornell. All was not lost as the ONR contract allowed the department to attract Jacob Wolfowitz and Jack Kiefer at a time when Cornell was experiencing great budgetary difficulties. 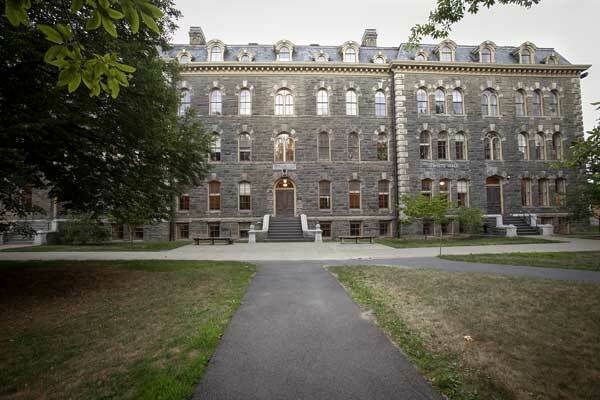 From 1945 onward, Cornell became known as an outstanding center for Probability Theory and Statistics, a place that would attract Harry Kesten, Frank Spitzer, Kiyoshi Ito, Larry Brown, Eugene Dynkin and others. In 1972, Jack Kiefer was elected a member of the National Academy of Sciences and became the first department faculty since James Oliver to be both a fellow of the American Academy of Arts and Sciences and a member of the NAS. In 1955, the department was chaired by Robert Walker (on leave). J. Barkley Rosser was acting Chair. Agnew, Kac and Wolfowitz were Professors. Wolfgang H.J. Fuchs, Paul Olum and Gilbert Hunt were Associate Professors. Arnold S. Shapiro, Isle Gal, Istvan Gal and Jack Kiefer were Assistant Professors. Carl Herz and Walter Feit were among the few Instructors. Isle Gal was the first woman to be appointed Assistant Professor in the department. Only two women had served previously as faculty instructors, Helen Owens (1917-22) and Christine Williams-Ayoub (1947-51), the daughter of former faculty L.G. Williams. As it turns out, after leaving Cornell both Owens and Williams-Ayoub spent most of their life and career at Pennsylvania State University. 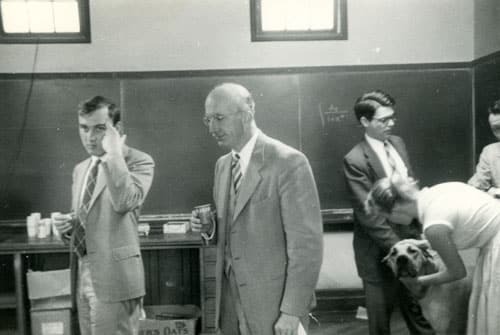 This picture from the collection of the Dolph Briscoe Center for American History, UT-Austin, shows Louis de Branges and John Barkley Rosser at Cornell sometimes around 1955. De Branges received his Cornell Ph.D. in 1957 under Henry Pollard. If one compares the department of 1935 to that of 1955, the later was, indeed, much stronger. This transformation would serve Cornell very well during the great expansion that would quickly follow. Ten years later, in 1965, the department had more than doubled in size with 14 Professors (Paul Olum, Chair), 9 Associate Professors, 11 Assistant Professors and 4 Instructors.